Lads on Tour Cabaret may be the upcoming event you’re looking for. Three years and 30+ shows later, the weird and wonderful cabaret series is now based in Christchurch where it continues in all its quirky glory. 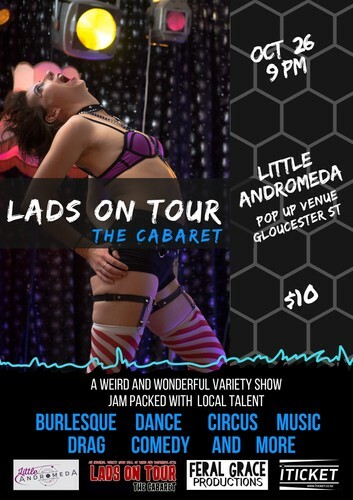 The Lads on Tour series hits the Little Andromeda stage for one night only for a very special showcase of circus, dance, burlesque and comedy.